This is a Sponsored post by my partner Target. As always, all opinions are my own. I remember how much I looked forward to registering for my wedding prior to getting engaged. Once upon a time, there was nothing I wanted more than to register at Williams Sonoma. I had all of these grand visions, and frequently walked through the store looking at items I would register for. Then the big question got asked. We did go to WS and started the registry process, only to walk out fairly quick. Other than a set of $1,000 knives, there wasn't anything at the store Gabe wanted, and this experience was supposed to be about us as a couple, not me dream shopping. One thing that drew me to Target Wedding was the versatility of items you could register for. Target has most the big items one would register for, such as KitchenAid Mixers, Riedel glassware, Dyson Vacuum cleaners and Calphalon cookware. You can register for the big items, along with mixing in moderately priced pieces. Target asked me to find two very different Target products that, when gifted together, add up to something more - “Be Yourself, Together,” when two people join forces while celebrating their individuality. When purchasing items for other couples big day, I always try to incorporate both people into the gift. Making the gift more personal adds a special touch. 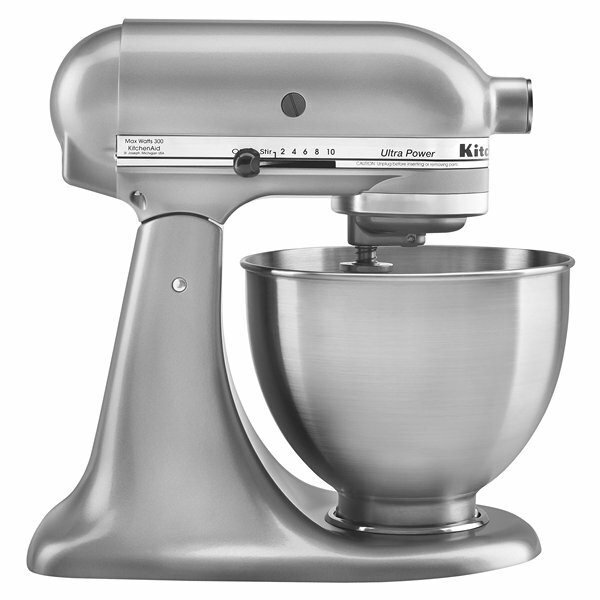 One item I would urge most brides to register for is a KitchenAid mixer. It is my absolute favorite item in our kitchen and you can use it for so many things. Gabe bought me one a few years ago and it still is my favorite gift, aside from my engagement ring. If you wanted to pair a KitchenAid with a different product to showcase both couples individuality, the Threshold™ Stoneware Serveware Collection Canisters would be a perfect way. I love the chalkboard labels, which you could use to write a note to the couple. You can fill one of the canisters with the Grooms favorite coffee and another with the brides favorite chocolates. You could also provide the couple with a recipe for classic chocolate chip cookies, placing the primary ingredients into the canisters. Instruct the bride and groom to do different tasks from the recipe, so they would make them as a couple with the help of their new KitchenAid mixer. You could do this with so many items at various price points from the Target Wedding Catalog. A soda stream machine paired with soda shop glasses to make homemade ice cream floats. Riedel wine glasses, a bottle of wine and a set of steak knives, creating the setting for the perfect date night in. I could go on and on! What was the favorite gift you've received (either for your wedding or in general?). #spon: I'm required to disclose a relationship between our site and Target Influencer Network. This could include the Target Influencer Network providing us w/content, product, access or other forms of payment. Since my husband and I have been together for so long and had most of the basic household necessities, we registered for our honeymoon. We set up our own account on Honeyfund.com and put dinners, experiences, entry fees to sites, travel, picnics, etc. that people could "purchase" for our trip. Travel is something we like to do together. Basically, my favorite gift was anything people gifted us off our registries :) haha. We had a very small guest list, so I kept the registries to a bare minimum of stuff we REALLY needed (dinnerware, silverwear, knives), and kept off the "fun" stuff that we didn't really need (board games is one thing that springs to mind that I've seen on other's registries). My wedding was 51 years ago. But, I still remember my best gift. We were just out of college, both of us had lived a home for college, so we had no household items. A good friend took a kitchen trash can and filled it to overflowing with rolls of trash bags, a dust pan, an plethora of small kitchen tools, and most of the absolute necessities of life, attached to it, looking like legs were a broom and floor mop. She topped it off with a bottle of wine and two wine glasses. The perfect gift for someone actually just starting out.